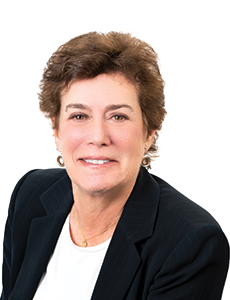 Fran has over 30 years of real estate experience in Westchester County, specializing in sales and listings in the communities of Rye, Rye Brook, Harrison and Purchase. She is skilled in all phases of real estate sales, including the pricing and marketing of a property, negotiations, maximizing sales price and bringing about a successful closing. Fran effectively guides home buyers through the entire process, from finding the right property, negotiating, providing guidance in financing options, supervising inspections, the final walk-through and ultimately, the closing. Consistently among the top producers in Westchester County, with particular expertise in high-end multi-million dollar properties, Fran is hardworking, knowledgeable and dedicated to providing superior personal service to clients and customers. She has an extensive network of Realtors throughout Westchester and Fairfield Counties, as well as New York City.A Licensed Associate Broker and a graduate of the Realtor Institute, Fran is a member of the National Association of Realtors, the New York State Association of Realtors, the Westchester County Board of realtors and the Rye/Harrison Multiple Listing Service. She has been a resident of Purchase for over thirty years and is a graduate of Connecticut College. It was truly a pleasure working with Fran. We were incredibly selective in our criteria for a home and she was remarkably patient during our year plus search process. Her commitment to finding us the perfect home never wavered and she never pressured us even in the slightest to settle for anything less. She was comprehensive in scope and tireless in approach, spending countless weekends with us crisscrossing Westchester from Bronxville to Purchase. She was very knowledgeable of each individual market and, more importantly, willing to provide us with honest and direct responses to all our questions. We knew we could trust her and that she was representing our best interests. Her full service approach extended to after we had moved into our new home when she hosted a dinner party as a way for several recent clients who were new to the area to meet. Without question we would recommend Fran to friends and strangers alike. When I decided to search for a house in Westchester County, after living & working in NYC for thirty years, there was no question in my mind who I would select as my realtor. Few people in the real estate business understand their clients as well as Fran Klingenstein of the Julia B. Fee Sotheby’s Rye, NY office. She listens intensely to her buyer’s requirements, knows Westchester County & it’s real estate market like no one I know. She has that special knack for putting a buyer together with the perfect home for living their lives. Fran’s thoroughness, knowledge of the market she lives and works in, coupled with her desire to find just the right home for her client, make her the wonderful realtor she is and has been for many years. Having recommended her to several friends over the years, all agree that Fran is one of the top professionals in her field. We thought so highly of Fran Klingenstein 19 years ago when we moved to NY and she placed us in our home that the decision to use her when we were looking for something new was simple. In 2013 she sold our original home and found the perfect new location for us. She is totally knowledgeable of the processes and market, she cared about our being satisfied and was a pleasure to work with. She is a professional and a full-service broker, someone I recommend to friends with confidence. We had the pleasure of working with Fran Klingenstein between the fall of 2012, when we commenced our search for a home, and the spring of 2013, when we purchased our home. Fran ably helped us through every step of what can be a stressful process, repeatedly providing helpful and value-added advice and counsel. In addition, her work ethic, calm demeanor, and willingness to listen enabled her to effectively target our search and help us winnow our options so that we didn’t waste our time. When we found the home we wanted, Fran helped us move quickly to make an acceptable offer and work through the inspection and closing processes. She did not simply move on to other clients once we had secured our home but remained a constant presence and resource for us and provided much-needed reassurance during the often-frustrating process of securing a mortgage. Fran knows the neighborhoods of Armonk, Harrison, Mamaroneck, Purchase and Rye like the back of her hand, is able to marry a client’s wants with what’s available to properly set expectations, is self-assured enough to be comfortable working with agents in other towns she might not know as well, and is a friendly yet forceful advocate. She combines years of experience with a desire to go the extra mile. We wholeheartedly and without qualification recommend Fran to any and all prospective buyers. I recently had the pleasure of working with Fran Klingenstein in my pursuit of finding a home. Since this was ny first foray into the world of real estate I was very anxious about what seemed to be a colossal process, and fearful that my naivety would result in irreparable consequences. That was, until I started to work with Fran who was recommended to me by a colleague. Upon meeting Fran, I was immediately comfortable with her and felt confident that she understood what I was looking for. What was more important, however, is that I very quickly recognized and trusted her experience. Ran patiently walked me thoughout all areas of the real estate process, answering my never-ending stream of questions clearly and calmly, and I came to value and trust her opinion greatly. She helped me through any glitches that came up, and was a total pleasure to work with. One day when I was driving around, I saw an open house and impulsively walked in. This was a unit that had JUST gone on the market, was actually not in an area that Fran usually covers, but I liked it very much. I called Fran (who was spending some time with her family) that afternoon and without complaint she dropped what she was doing and come with me to see the unit that is now my home. Fran was with me at all staps throughout the financing, inspection, and all other stages of the process. I felt comfortable calling her at any time of day, no matter the question or concern, and she always responded quickly and professionally. She was caring, knowledgeable and thorough, and I relied on her greatly. I have already recommended Fran as a broker to friends, and will continue to do so in the future. I can’t thank Fran enough!